Gerry Salter, MBA, PT, joined Saint Francis Medical Center in 1995, serving as the Director of Orthopedics from 2006 to 2015, and responsible for the operations of a 13-department strategic business unit that included orthopedics, acute inpatient rehabilitation, inpatient therapy, psychology, outpatient therapy and concussion clinic. 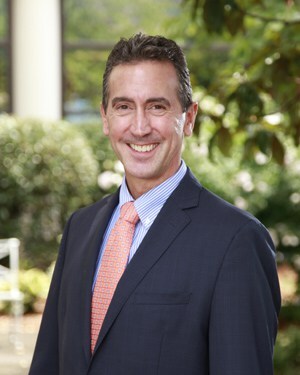 In Salter’s new role as Vice President – Professional Services at the Medical Center, he now oversees a full range of service lines: cancer services, emergency services, Fitness Plus, imaging services, laboratory services, orthopedics, pharmacy, pulmonology services, trauma services/patient logistics and WomanCare. Salter, who served in the U.S. Marine Corps, is a certified athletic trainer and certified strength and conditioning specialist. He earned a Bachelor of Science in physical therapy from the University of Massachusetts-Lowell in Lowell, Mass. He later completed his Master of Business Administration from Regis University in Denver. He was instrumental in the creation of a $44 million medically-integrated fitness center and a $127 million hospital expansion at Saint Francis, and also helped implement the opening of a multispecialty physician clinic. He has served as an interim Professor at Southeast Missouri State University in Cape Girardeau, and has lectured for the orthotics and prosthetic program at Northwestern University in Chicago. Salter is a regular presenter at national healthcare conferences as well as regional workshops and community seminars.